Mary Livingstone was born in 1882 in Cumberland, New South Wales, daughter of Neil Livingstone and Agnes (née Gardiner). One of her sisters was Mrs Flora Merrington, wife of the Minister of Saint Andrew’s Presbyterian Church, Brisbane, Rev Dr Ernest Merrington. Mary’s family called her ‘Mollie’. 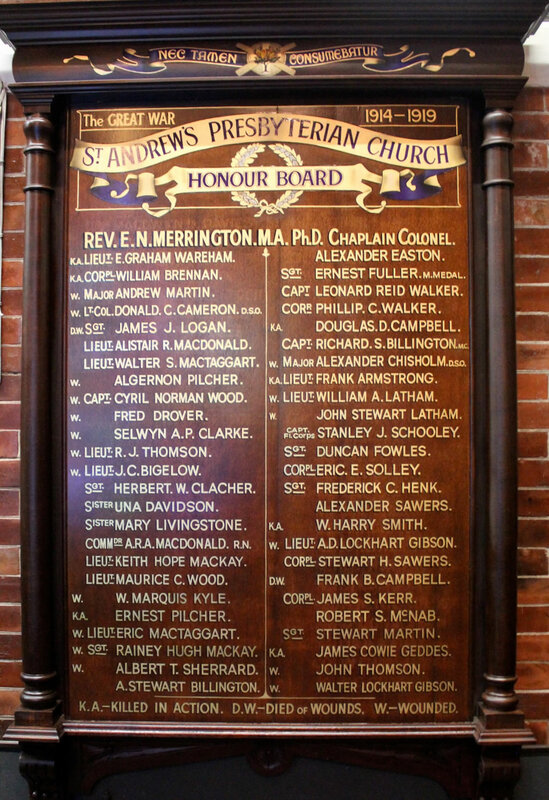 Soon after the outbreak of the Great War in August 1914, Rev Merrington received his appointment as Chaplain to the First Expeditionary Force. In the midst of his preparations for departure, Dr and Mrs Merrington’s youngest child only three years old, became very ill. Mrs Merrington’s sister came to nurse him. Dr Merrington recalled, “A great trial came to us in the illness of our little son, Harvard, who contracted broncho-pneumonia just at this juncture. Flora’s sister, Mollie Livingstone came to nurse him and was a comfort and ministering angel.” It was not till the end of October when his ship was about to depart for Egypt from Albany in Western Australia that Chaplain Merrington learnt by telephone that Harvard was out of danger. At the age of 30 years, Mary Livingstone herself enlisted in the Australian Army Nursing Service on 3 November 1915 in Brisbane. She named as next-of-kin, another of her sisters, Mrs Agnes Edwards who lived at Rose Bay. Attached to the First Australian General Hospital Unit, Staff Nurse Livingstone embarked for service overseas on His Majesty’s Australian Troopship Orsova from Sydney. In Egypt in 1916, Staff Nurse Livingstone worked at Choubra Hospital for infectious diseases and at the 14th Auxiliary General Hospital at Abassia. She transferred from Alexandria, Egypt to England at the beginning of 1917 per Hospital Ship Essequibo, thence to France where as Sister Mary Livingstone, she was stationed for the rest of the war at Australian General Hospital locations at Rouen, Wimereux and Boulogne. Mary’s brother-in-law, Chaplain Ernest Merrington was stationed at Le Havre in 1918 and was able to arrange for leave to visit his sister-in-law. He wrote of a happy meeting with her near Boulogne. Sister Livingstone returned to Australia per Devanaha from England. Her brother-in-law had his sailing altered to allow him to proceed with her on the same ship. It so happened that Chaplain Merrington had gone to Anzac Cove on HMAT Devanaha in 1915. On this much happier occasion the band played as they departed from Devonport on 8 May 1919. Mary Livingstone remained in her Sydney home while Ernest Merrington continued via Toowoomba, back to Brisbane and the work of Saint Andrew’s Presbyterian Church. Sister Livingstone was discharged from the AANS on 18 August 1919 in Sydney. Mollie Livingstone stayed a few weeks with the Merrington family in Brisbane in the latter part of 1919, again to help care for Harvard then 8 years old, who had pneumonia. In 1926, Mollie was visiting the Merringtons again, this time when Rev. Dr Merrington was Minister of the First Church of Otago, New Zealand. Family ties were strong. According to Dr Merrington’s diary, Mary Livingstone was visiting the Merringtons again in Wellington in 1934. Mary Livingstone continued her nursing career in Sydney. She did not marry. Her war service medals - the Star, Britih War Medal and Victory Medal - were returned to military authorities in August 1960. She died on 14 May 1974, aged 92 years. • Rev Dr Ernest Merrington, Stories from the Honour Boards, Saint Andrew's Uniting Church, Corner Ann & Creek Streets, Brisbane City.